Full log cabin right on the lakeshore rocks. 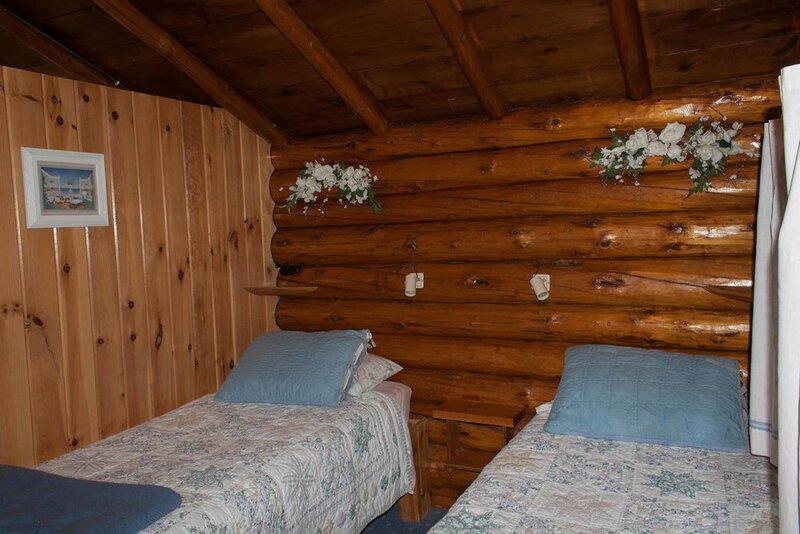 Two bedrooms: one with queen bed overlooking the lake, second with two twin beds. 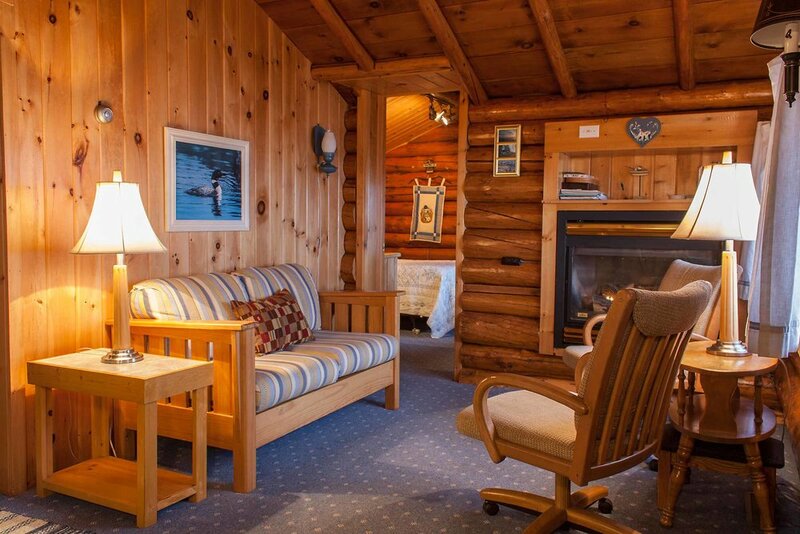 Full kitchen, dining area and cozy living room with gas log fireplace. Large attached sundeck with spectacular views. YEAR ROUND RENTAL with a special Winter Rate. Center photo gallery below. Located in the resort's east-central area.